Air travelers who are coming in ever greater numbers regardless of whether we replace Terminal 1 or not need better ways to access the airport. That includes a road allowing airport traffic to bypass Harbor Drive. In 1967, when the current Terminal 1 opened at San Diego International Airport, the airport served almost 2.5 million passengers annually. Fifty-one years later, it accommodates nearly that many passengers in a single month. This ever-increasing demand for air travel is fueled by regional population growth and an economy that continues to gain steam, yielding more tourists and more business and convention-related travel. 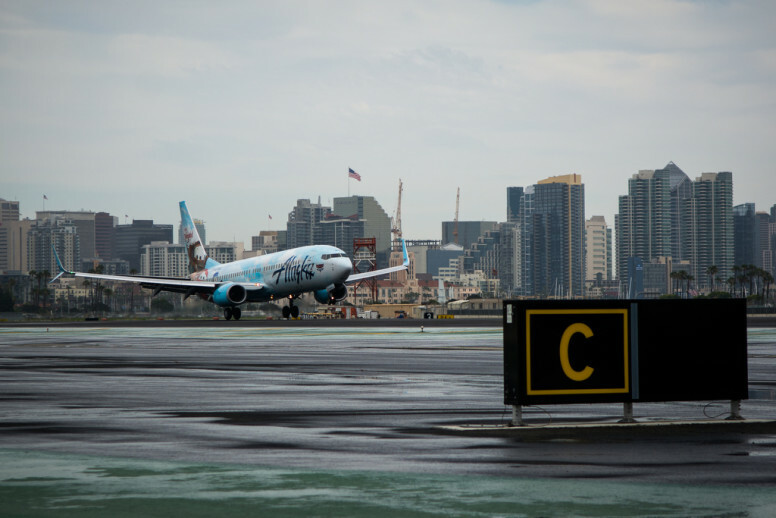 Not only does the airport serve as San Diego’s connection to the world, it has emerged as one of the region’s foremost economic drivers, generating nearly $12 billion in annual economic impact. The San Diego County Regional Airport Authority takes seriously its role as a regional partner in providing a world-class airport. Terminal 1 needs to be replaced with a modern and more efficient terminal that includes more gate-area seating, more restaurants and shops near the gates, and additional security checkpoint lanes. Air travelers who are coming in ever greater numbers regardless of whether we replace Terminal 1 or not need better ways to access the airport, such as a dedicated entry road allowing airport traffic to bypass Harbor Drive. They also need improved transit options. All of that, and more, is envisioned in the Airport Development Plan, the Airport Authority’s master planning effort to ensure that the airport can continue to function as the region’s main air transportation gateway for decades to come. Stakeholders have responded to the plan’s recently released draft environmental impact report with helpful and valuable comments. Many revolved around improving access, so let’s talk about that first. A key part of the plan calls for a new $166 million road to be built on airport property that connects Laurel Street and Harbor Drive directly with the airport, with no traffic lights. The dedicated access road would remove an estimated 45,000 cars per day from Harbor Drive and free up space in that roadway for potential Rapid Bus or light-rail opportunities that could serve not only the airport, but also Harbor Island redevelopment projects being considered by the Port of San Diego. The new road represents the latest in a series of improvements made by the Airport Authority to ease traffic, including a new consolidated rental car center and also a receiving and distribution center on the airport’s north side, which removed all rental car traffic and most truck delivery trips from Harbor Drive. The Airport Authority has also widened Harbor Drive and spearheaded the Harbor Drive Mobility Committee, a group of regional stakeholders committed to improving traffic on the thoroughfare. Now let’s turn to transit. Many visitors here in San Diego for conventions or business obviously don’t bring their own cars, and ideally they should have multiple modes of public transportation available to them. It should also be as easy as possible for the airport’s 9,000 employees to use transit to come to work. To that end, the MTS 992 bus provides a fast and efficient link between the airport and Santa Fe Depot — and is, in fact, used by more than 35,000 people each month. The Airport Authority believes a strong connection to the trolley is another key piece of this puzzle. The airport development plan provides a direct connector to SANDAG’s planned Intermodal Transit Center, which is part of SANDAG’s Regional Transportation Plan and would serve Amtrak, Coaster, trolley and bus riders. The plan calls for a pedestrian walkway, and either an electric shuttle service or automated people mover directly to the terminals using a transit-dedicated, on-airport roadway. If the region were to decide on a different approach, the Airport Authority is committed to working with regional partners to make it a reality, both by contributing financially and by accommodating a transit connection onsite. In the meantime, the Airport Authority has launched a free shuttle service that allows transit passengers to access the airport from the Middletown trolley station. This idea came from an Airport Transit Committee that included the Airport Authority, SANDAG, MTS, North County Transit District, Caltrans, city of San Diego, Port of San Diego, FAA and California Coastal Commission, among others. This group is also helping the Airport Authority conceive of a plan to bring passengers via electric shuttles directly from the Old Town Transit Center to the airport. The target date for construction to begin on the new Terminal 1 and related improvements is 2020, with the new terminal opening as early as 2023. Until then, the Airport Authority will continue to work with regional partners and the community at large to make certain all voices are heard and all paths forward are considered. Greg Cox serves on the San Diego County Regional Airport Authority board and is a member of the San Diego County Board of Supervisors representing District 1. Greg Cox serves on the Board of the San Diego County Regional Airport Authority and is a member of the San Diego County Board of Supervisors representing District 1.